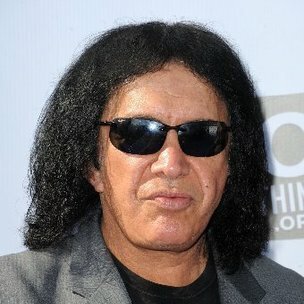 In an interview with Radio.com, Gene Simmons, singer and guitarist for the Rock band Kiss, complained about the induction of Hip Hop artists like Grandmaster Flash and the Furious Five and Run-DMC into The Rock and Roll Hall of Fame. In the same interview, Simmons described his dissatisfaction with the selection committee’s decision to induct only the original members of his own band, overlooking both a guitar player and drummer in the current lineup. As a result, Simmons and Kiss have decided not to perform at the ceremony scheduled for April 10 at the Barclay’s Center in New York City. In 2007, Grandmaster Flash and the Furious Five were inducted into the Hall of Fame as the first Hip Hop artists to receive the honors. According to the Hall’s website, Flash called the induction “a wonderful feeling.” “This is bigger than me,” he said. “This induction is total acceptance from one of the most prestigious music associations in the world…It’s a wonderful feeling to be remembered [sic] the architects that pioneered an idea that the whole world fell in love with. It is called Hip Hop.” Since Grandmaster Flash in 2007, Eminem presented the Hollis, Queens group Run-DMC with their induction honors in 2009. In 2012, the Beastie Boys were honored similarly as inductees. Most recently, Public Enemy was inducted as a part of the 2013 ceremony.